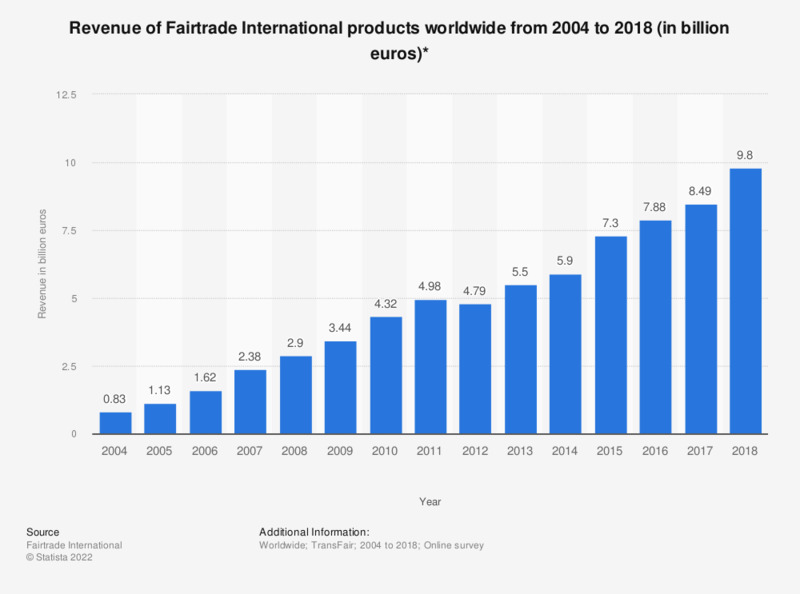 This statistic shows the revenue of Fairtrade International products worldwide from 2004 to 2017. In 2017, the revenue generated from Fairtrade International products worldwide amounted to about 8.5 billion euros. When it comes to sustainable development, trade can be the best of servants, but the worst of masters. This is why Fairtrade works within the market, to change the market. Since its beginning, Fairtrade has grown to represent over 1.65 million of these farmers and workers, most recently embracing those who work in the tough conditions of artisanal mining. Producers now co-own the Fairtrade system, shaping global strategy and running operations across three continents. On a scale of 1 to 7, how interested are you in Fairtrade products?